Littleton Electrician | Electric Doctor | Call your Littleton Electrician today! Electric Doctor Inc. offers reliable, prompt appointment windows. Schedule an appointment with a highly trained electrician now. Award winning. Top rated electricians. Large or complex projects needing estimated prcing. Electrical Service Upgrades. Panel Replacements. Troubleshooting & Repair. Sonos. Nest. Ring. 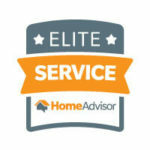 “These guys are quick, professional and friendly! Electric Doctor Inc. is a family owned and operated, award-winning electrical contractor. We opened in 1995, founded in Littleton, CO and we operate out of Sheridan, CO. We provide all our services in the Greater Denver Metro Area (check our Google service area map). We are a fully licensed and insured contractor providing electrical, lighting, and audio/video services for residential, commercial, and industrial properties. 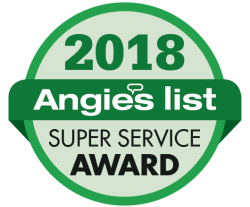 We are the top-rated electrician in the Greater Denver Metro Area with numerous awards including multiple BBB Gold Star Awards and Angie’s List Super Service Awards. We offer quality services for our clients including electrical troubleshooting and repair, as well as Electrical Service Upgrades for your breaker panel. We have also replaced hundreds of Federal Pacific Electrical panels. 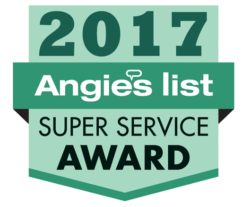 Electric Doctor Inc. can be found with 5-star and A+ ratings on the BBB, Google, Yelp, Angie’s List, Home Advisor, and Facebook. All of our electricians are expertly trained and have completed a background check and we’re very pet-friendly. We made our goal when we opened the company to provide the highest quality, professional electrical services and repairs at fair prices in Littleton and the Greater Denver Metro area. Over the years as we have grown, we have added quality, licensed Littleton electricians to our team. We provide lighting and audio/video services to offer a full line of wiring installations. We have extensive experience and training in all aspect of electrical service and troubleshooting. We are a full service Littleton electrical contractor and provide electrical, lighting and audio/video services to residential, commercial, and industrial properties throughout the metro area. We have worked to build the reputation as a top-quality, reliable electrical contractor in Littleton and the Greater Metro Denver area. Our clients know we complete our installations with the utmost speed and quality, saving you time and money. As professional electricians, we perform a wide variety of installations, from our unmatched ability to troubleshoot and repair any issue with your electricity, to full service panel upgrades. We offer the same award-winning service on every job. No job is too big or too small for Electric Doctor. We offer free estimates for your projects. You will never see us offer to beat another contractor’s price or offer bogus coupons on inflated pricing, but we will match a quote from a fully qualified, licensed and insured electrician. We offer discounts for repeat customers, seniors, veterans, and teachers. Contact an experienced electrician at our office for all your electric needs for your home and business. We look forward to serving you! Service Areas Include: Littleton, Denver, Englewood, Sheridan, Highlands Ranch, Golden, Lakewood, Wheat Ridge, Arvada, Aurora, Lone Tree, Centennial, Parker, and Castle Rock. 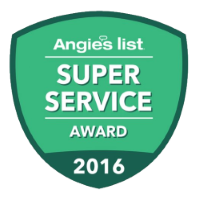 Winner of 14 BBB Gold Star Awards and 6 Angie’s List Super Service Awards.